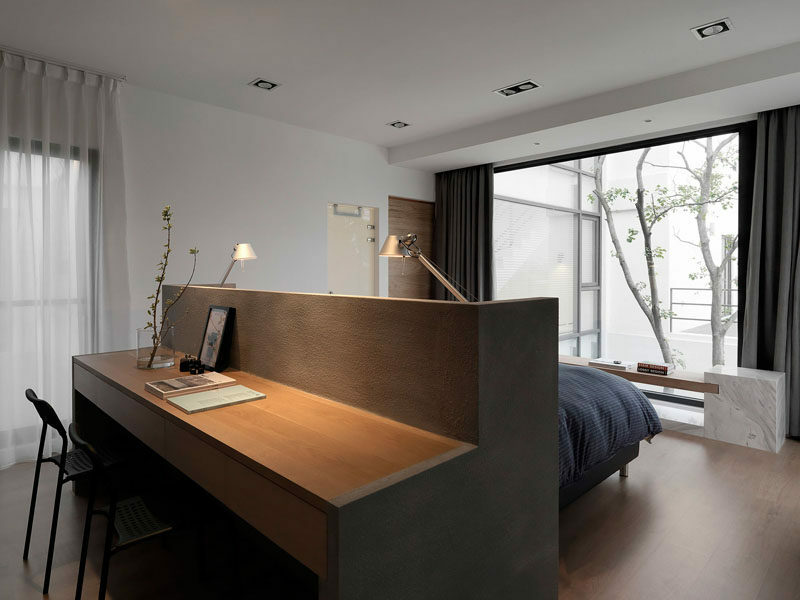 In small bedrooms where you want to maximize space, placing the bed in the middle of the bedroom is one way to achieve that. 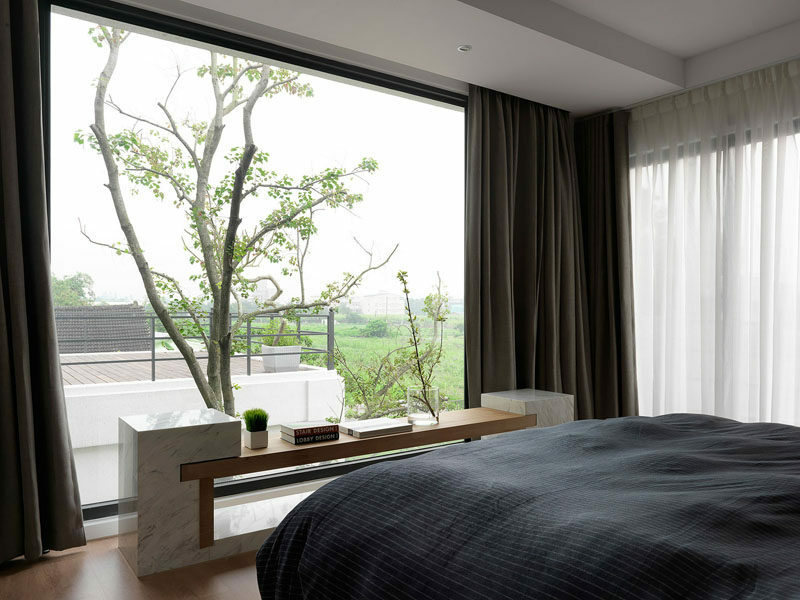 Placing the bed in the center of this bedroom, designed by MORI design, all sorts of extra space was made available. 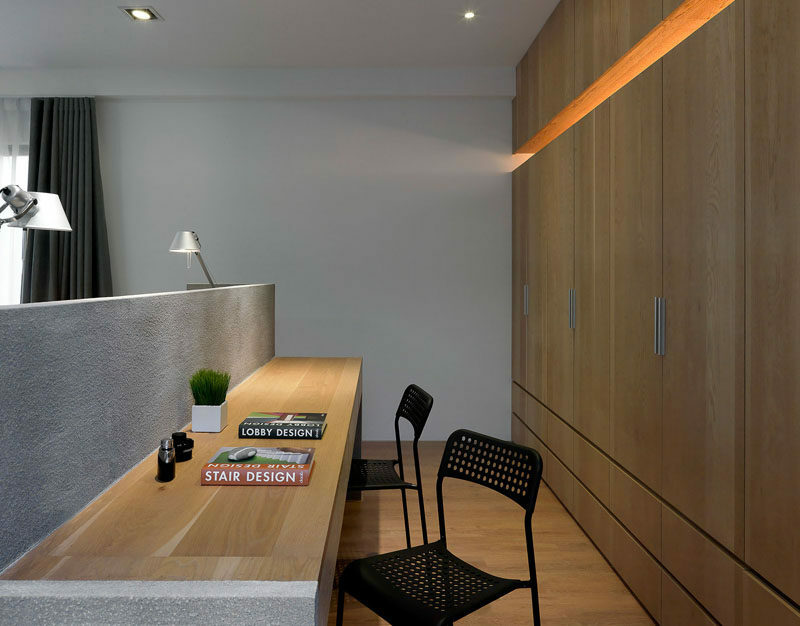 Not having the bed against the back wall, for example, allowed for a full wall of built-in storage and created space for a desk that otherwise wouldn’t have fit in the room. 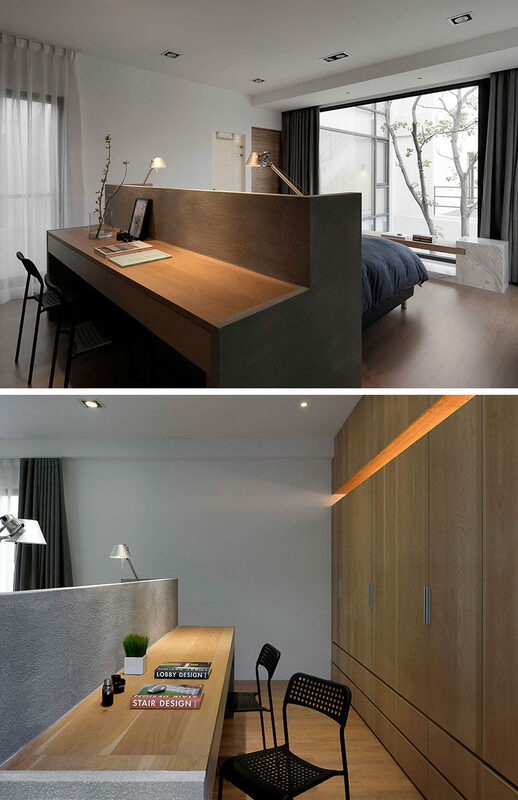 Small spaces can be a challenge, but getting creative with how the furniture is arranged and doing things in slightly less conventional ways can be the difference between a room made for only for sleeping and a room made for relaxing, sleeping, and studying.